The Crazy Tones took form when Remi Groot met Jacco Buchholz in 1985 during a concert of The Keytones. They got along well and decided to form a Rock’n’roll band. Buccholz knew a drummer, “Beerke”, and they started to rehearse on a hot summer day. They built a small repertoire and played some gigs at Remi’s school, later on in bars and festivals. 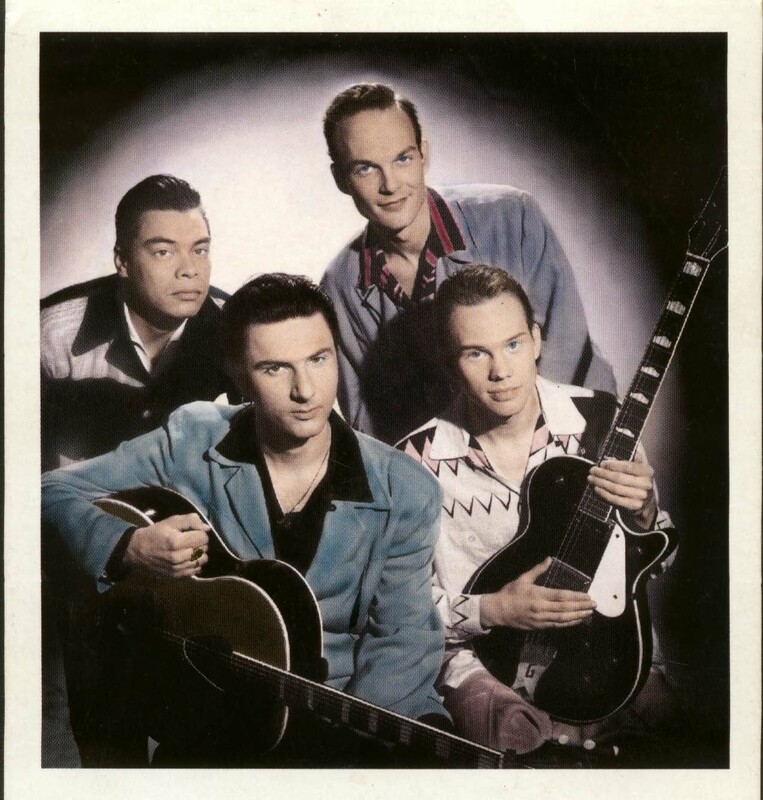 In July 1986 they recorded in a small studio in Venlo their first demo “Gene’s gone” and “I feel the blues. A year later, after playing a lot of gigs together with The Keytones, The Chevy Cats, Restless etc. 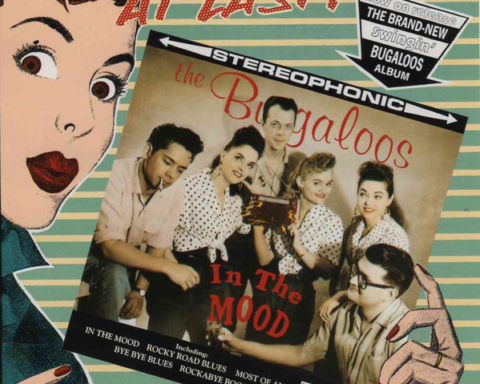 they recorded “Rockabilly Party” and “Let’s make some love” for Disky-records under the supervision of Boz Boorer of The Polecats. 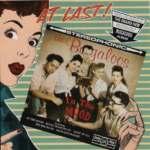 It was on a compilation album with 6 other Rockabilly bands from the Netherlands. The release and presentation was at the Paradiso, Amsterdam. After Beerke left the band in 1988, Remy had to do his military duty, but kept on rockin’on with The Crazy Tones. Ritchie Adams then joined on drums. 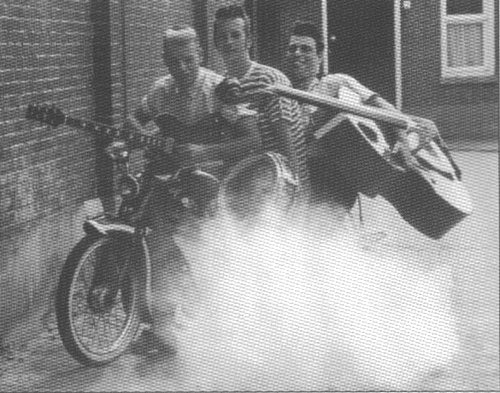 In 1989 they recorded for Tombstone records their first (and unique) album “She’s got what it takes” which is a little neo-rockabilly masterpiece. This album resulted in a lot of gigs around Holland, Germany and Belgium. 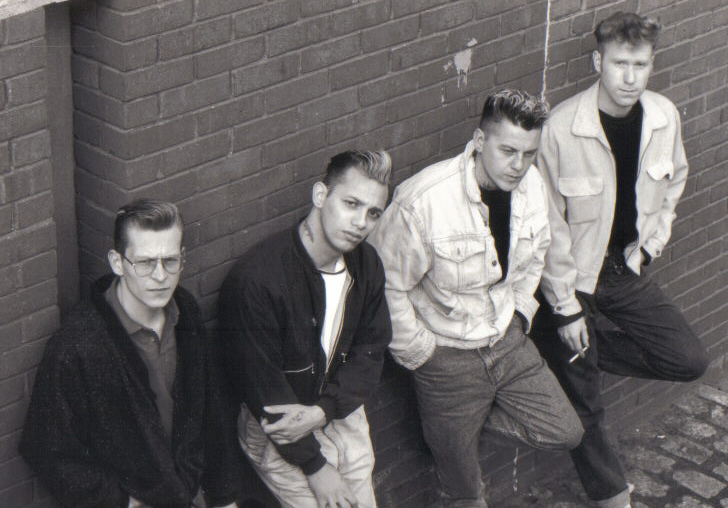 They also won the contest “the small-price of Utrecht” in 1990. The price: a track on a CD on the culty Kelt-records company. It was “If you wanna be the 1-4-me”. 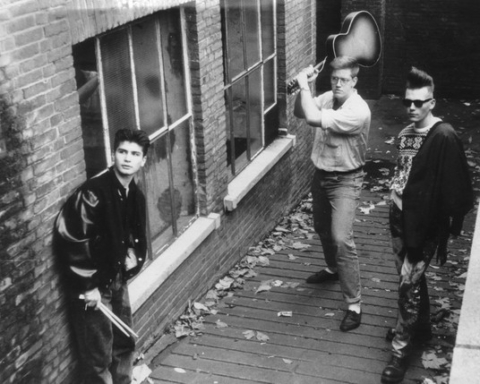 The Crazy Tones disbanded in 1992 after a Good-bye-party at The Paradox, Boxtel, the Netherlands. Share the post "Crazy Tones (the)"